I am genuinely excited (ecstatic is more like it) and privileged to be one of the first few to share with you my best friend’s new endeavor. World, meet Oh Happy Day Birth Photography by Polly Fong! Birth Photography is still not a common practice in the Philippines, mostly I think because of our country’s conservative and traditional heritage. A lot of moms will be hesitant to have themselves “shot” at a very critical and intimate moment in their lives. However on the flip side, we are also a country that embraces the “new”. I think too that this new generation of moms (myself included) are more open to what the world has to offer them in terms of motherhood and all that comes with it. 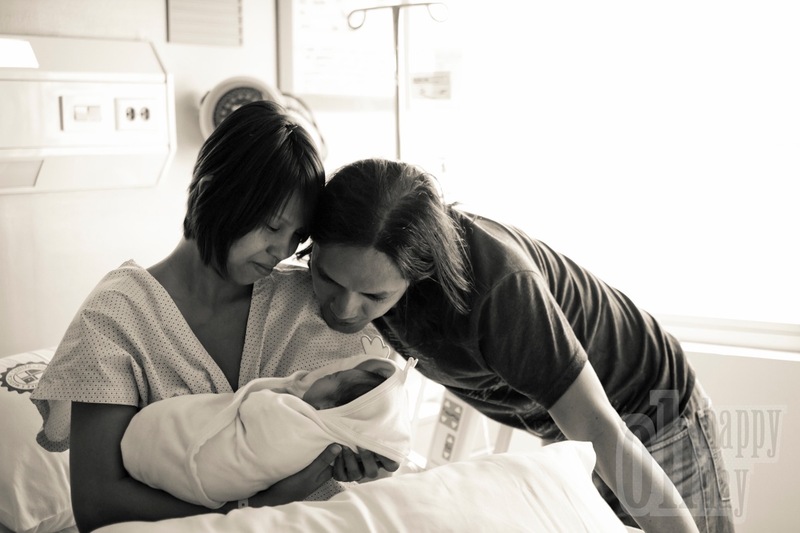 Capturing their child’s birth story as it happens is one of those that I feel can soon become a trend in the country, and I am quite happy that Polly is a pioneer in this niche. Polly is Personal. I’ve known her all my life (we practically grew up together, and have been through all the highs, lows and in-betweens of each others’ lives, in spite of the physical distance and differing timezones. We are godparents to each others’ children and our families are practically family) and I can definitely say that once you meet or even talk to her, you will feel at ease instantly. Polly has that kind of ease about her. By the end of your first interaction with her, I wouldn’t be surprised if you instantly liked (or even loved) her, to the point that you wouldn’t feel like she was someone you hired, but more of a friend, present for one of the most important times in your family’s life. Polly is Passionate. Polly loves what she does — even if it means being on call 2 weeks before and after your due date, and rushing to a hospital in the wee hours of the morning, she absolutely loves it. That to me is the first key ingredient to amazing output. She puts her heart into each and every picture, and that does her wonders in photographing the right emotions. Polly is Professional. More than just professional, she is highly ethical. She puts the needs and wishes of her clients first and above all else, without any hidden agenda whatsoever. There is no “reading between the lines” with Polly; she tells you exactly what she means and sticks to it, and doesn’t take advantage of situations. Polly also knows what it’s like to be in the birthing mother’s shoes — as she has been there herself. As such she puts a lot of importance on being as unobtrusive as possible so that the family can enjoy this very special and intimate moment without a camera directly in their face. Polly is a Perfectionist. She is as OC as OC can get (I tell you, my friends and I get along because we have this in common, yes?). You can be sure that Polly will be as clean and as sanitized as every nurse and doctor in the delivery room. More than that, she will plan and go over scenarios with you before the event to ensure that you are comfortable and at ease with her presence there. As for the final output, she will not release an image to you that she isn’t 200% sold on herself. Polly is Perceptive. This I feel is one of her best qualities as a person, and it definitely works to her advantage as a journalistic type of photographer. I love that she is so insightful and attune to your feelings, and it shows in her work. She is able to capture moments that you would not be able to enjoy at that particular point in time (for various reasons) and allows you to relive and relish every detail when all the excitement surrounding the birth have calmed. Polly’s photos tell a story; the kind that can really only be told once, and the kind that not many people can enjoy in the moment that it happens. She does that for you — she captures and immortalizes the important little details so that you can one day share it with your child for him or her to appreciate it too. As someone who knows Polly on a personal level, I can say in all honesty and sincerity that I have benefited tremendously from her presence in my life. If you allow her to be be a part of yours (and your child’s) too, I’ve no doubt in my mind, that she will make a positive lasting impact as well. 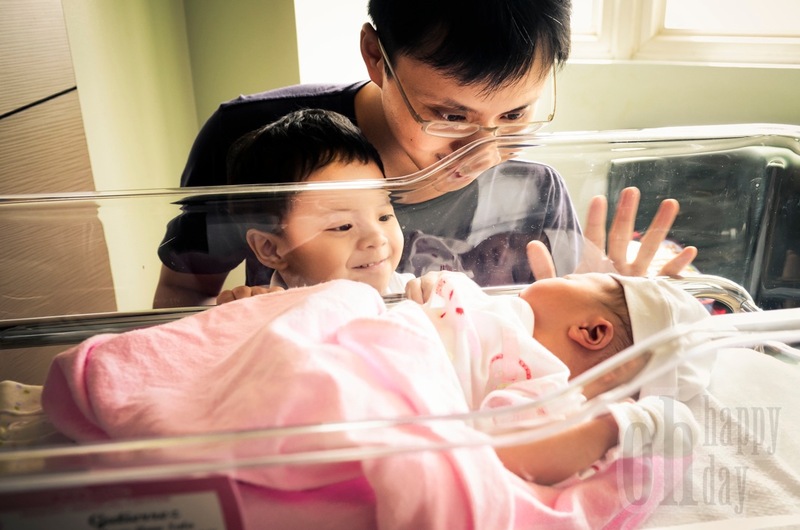 Polly’s Birth Photography packages start at P5,000, depending on the type of service you are interested in. She can cover everything from the pre-delivery to the post-delivery of your child. If you are interested in more information, please feel free to contact Polly Fong at +63(917)-539-8870 or email ohdbirths@gmail.com. Or, let me know via this blog post or through an email and I will be more than happy to put you in touch with her. Incidentally, the Painter’s Wife is also giving away one (1) Post-Delivery birth photography package worth P5,000.00! Click here to join and to find out more! Yes yes! Please do! 🙂 Thank you! Haha, I can understand — the photos are beautiful though! Hi! Are Polly’s number and email address still the same? I tried to contact her but I didn’t receive a reply. Is she still working as a birth photographer?